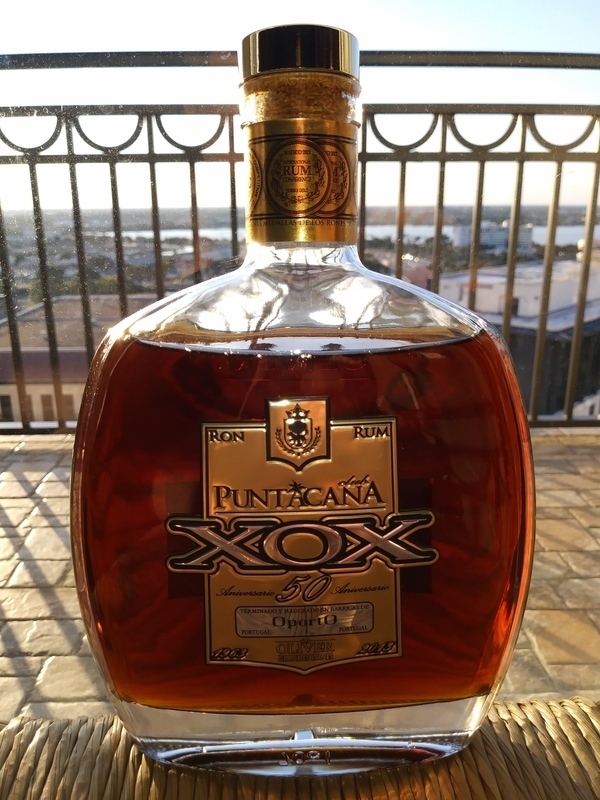 Have you found an online vendor selling Punta Cana XOX? Ce rhum est magnifique. C’est une explosion de saveur en bouche. La vanille et le caramel sont bien présents mais on sent aussi cette subtilité ajouté par le passage en fut de porto. Le final est très long et délicieux. Si vous en voyez il faut absolument le gouter ! This rum is beautiful. It is an explosion of flavor on the palate. You can taste vanilla and toffee but also that subtlety added by its finish in oporto cask. The aftertaste is very long and delicious. If you see it, you HAVE to try it! le même goût que le Vizcaya mais en plus concentré. Pour moi ce rhum frise la perfection et est sans aucun doute au même niveau qu'un El dorado 21. À goûter absolument ! Miamm! Nice dark amber color, this rum is on notes of vanilla, honey, caramel, very pastry. Woody comes with time. There are also plum notes. On the palate, we find the same aromas, very sweet, with a nice finish but not too long. It's not bad, but you can find better. This one had a strong finish.. First a kick with pure ethanol. Then comes the flavours.. I can feel some coffe, oak with a hint of coco.. The fun part is when the taste fades.. It leaves you with a sweet taste in the the mouth.. A must in the sippingsection..
Ce rhum est complexe sucre equilibre et quel gout.sur la vanille on sent le caramel.vif et doux a la fois il n est pas sur l alcool.parfait.il est dans mon top 3 avec le quorhum 30 et opthimus 25 oporto finish.cette bouteille rare montre une fois de plus la qualite de la maison oliver.note 9.5. Having been disappointed by the Punta Cana Tesoro, I was sceptic. But this is a true gem. Powerful and complex with an almost reddish color from the port casks. The colour is deep golden red. When you swirl the rum in the glass, it shows great texture, with fat clingy legs. The nose really grabs your attention. It's full and sweet, with notes of plum and caramel. The taste is nothing short of superb. It's a full fat sweet rum with notes of ripe fruit and a hint of vanilla and sweet tobacco in perfect balance. It has a long smooth and warming afterburn with subtle spicy tingles. Im a huge fan of this rum, that balances the port finish perfectly, without going overboard. A very good flavorful rum with notes of chocolate, spices, toffee, caramel, vanilla, and fruity notes. Decent caramel aroma. No additional spices in taste, bitterness on the tail. Schönes sattes Mahagoni im Glas. In der Nase herrlich ausbalancierte Noten von Karamell, Vanille, Schokolade, Moos, Früchten, Holz, Harz, Laub und Zuckerwatte. Im Gaumen, Samt pur ! Geschmeidig elegant ergiessen sich süsse Aromen von Bratäpfeln mit Karamellglasur und Schokostreusel über deine Zunge. Vanilleeis mit kandierten tropischen Früchten und dunkle Holztöne mit einem süss-herbem Hauch von Port runden das Ganze ab. Im Abgang kommt nebst den bekannten Aromen wie Karamell, Vanille und Schokolade noch Leder und Tabak dazu. Ein Ron der Liebhaber von Süss-Rums begeistert. Typisches Oliver Profil, super süss und super lecker. Beautiful rich mahogany in the glass. Nicely balanced notes of caramel, vanilla, chocolate, moss, fruits, wood, resin, leaves and cotton candy. On the palate, pure velvet! Sweet, elegant aromas of roasted apples with caramel icing and chocolate sprinkles pour over your tongue. Vanilla ice cream with candied tropical fruits and dark wood tones with a sweet and sour hint of Port complete the whole thing. In addition to the well-known flavors such as caramel, vanilla and chocolate, leather and tobacco are added to the finish. A Ron the lover of sweet rums excited. Typical Oliver profile, super sweet and delicious. Competent and very well balanced, vanilla, leather and tobacco, sweetness and wood. Not sweet, not dry, perfect ballance. Typical Oliver character. Nice and long aftertaste. Lover at være en topklasse rom, men lover lidt mere end den kan holde. En meget krydret smag, som godt kan forveksles med røg, hvilket ikke falder i god jord hos mig. En spændende og kompleks rom, men man forventer lidt mere til prisen. 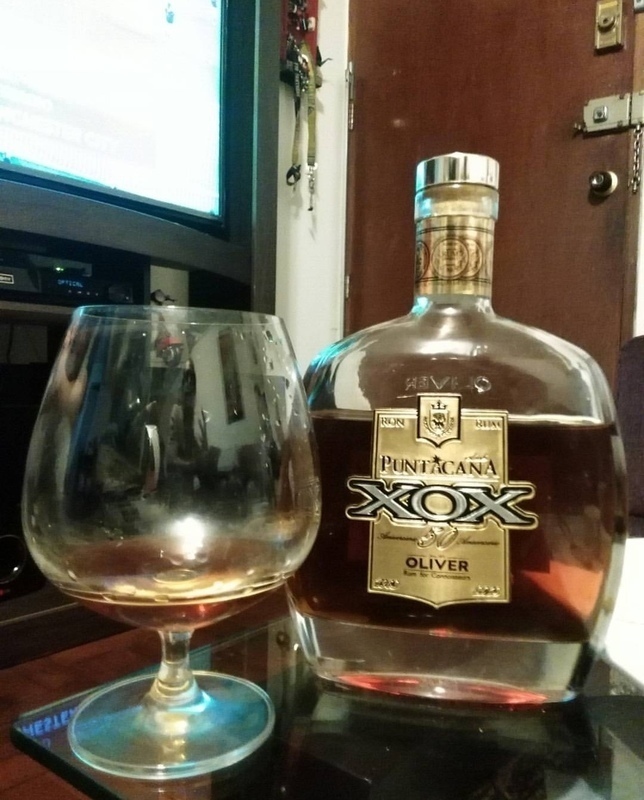 Although the presentation is not very striking (which is already usual in rum Oliver & Oliver), however is a soft rum, a little sweet, caramelized and slightly fruity, is a rum with very good balance. I totally recommend it, even if the presentation is a little dull. Aunque la presentación no es muy llamativa (lo cual ya es usual en los rones de Oliver & Oliver), sin embargo es un ron suave, un poco dulce, acaramelado y ligeramente frutado, es un ron con muy buen equilibrio. Lo recomiendo totalmente, aunque la presentación sea algo floja. Nice nice sipper.. A very good choice anytime.. Poate un pic dulce dar cu un aftertaste nu foarte lung dar plăcut. Only on the rocks!!! Punta Cana XOX has to be one of my personal favourite rhums. Caramel, dark, aged in Porto barrels, only for sipping, absolutely great. Price...I got it in DR in their Supermarket Jumbo, for less than 50USD. I was offered 400CAD on arrival at home . After tasting it, I realized why. You won't find Punta Cana in the duty free. I can feel some coffe, oak with a hint of vannila. It's full and sweet, with notes of plum and caramel. The taste is nothing short of superb. It's a full fat sweet rum with notes of ripe fruit and a hint of vanilla and sweet tobacco in perfect balance. Tried the Punta Cana XOX and Unhiq XO back-to-back and what a big difference between the two of them. 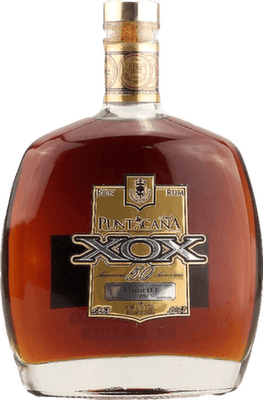 Punta Cana XOX has a very nice smell to the nose and it is one of the smoothest rums I have ever tried. Hardly any burn at the end. 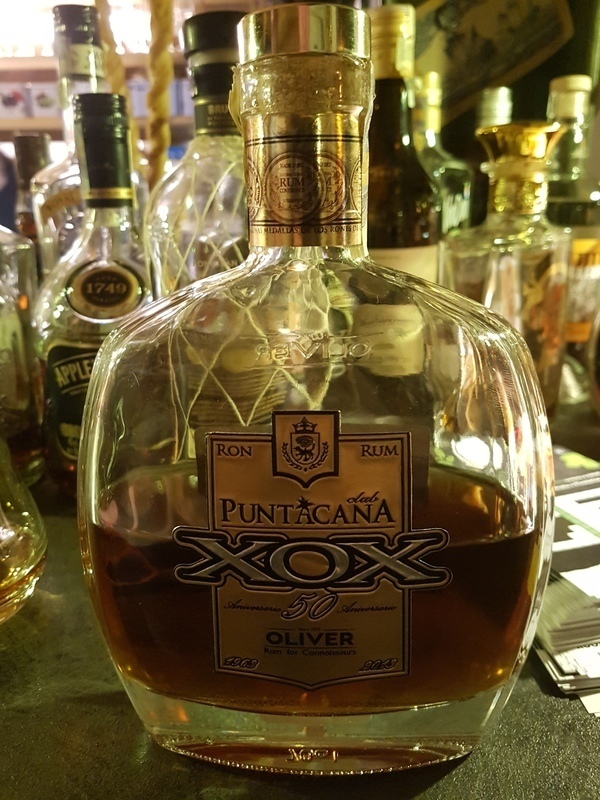 After well over 700 aged dark rums later, Punta Cana XOX barely makes into the top 30 list, but such a nice positive surprise that it makes it there right away. I really enjoy the smell and taste of this rum. But it feels a bit harsh to me; like it's not well aged. The bottle doesn't say how old the rum is. I read a Rum Corner review that said it was a blend of both younger and older rums. I can't confirm, but it does taste a bit young to me. Smells and tastes of molasses, vanilla, and spice. Quite nice actually, but I don't find it as smooth as other rums in this price range. It's the slight harshness that knocks this from a 10 to a 9 for me.